It has been months since I was hoping to finally get the chance to try this Bento lunch box containers from this company. I tried and I tried, but wasn’t lucky enough to get provided not until today. Summer is almost over and we parents or those who have kids that goes to school are getting ready with their school supplies, items, clothing, shoes and snacks too. Might be too early to start with but it’s best to do it earlier in a way that you won’t be rushed everything during the last minute, and I adhere that situation. Early because there will be plenty of discounts to apply and more time for us to shop, rather than being in the store and swift the lot. More about this nice Bento Lunch Box container, the item arrived in the mail in an excellent condition. The shipping box is quite bigger than the item itself, how they manage the shipping boxes? I really have not idea. 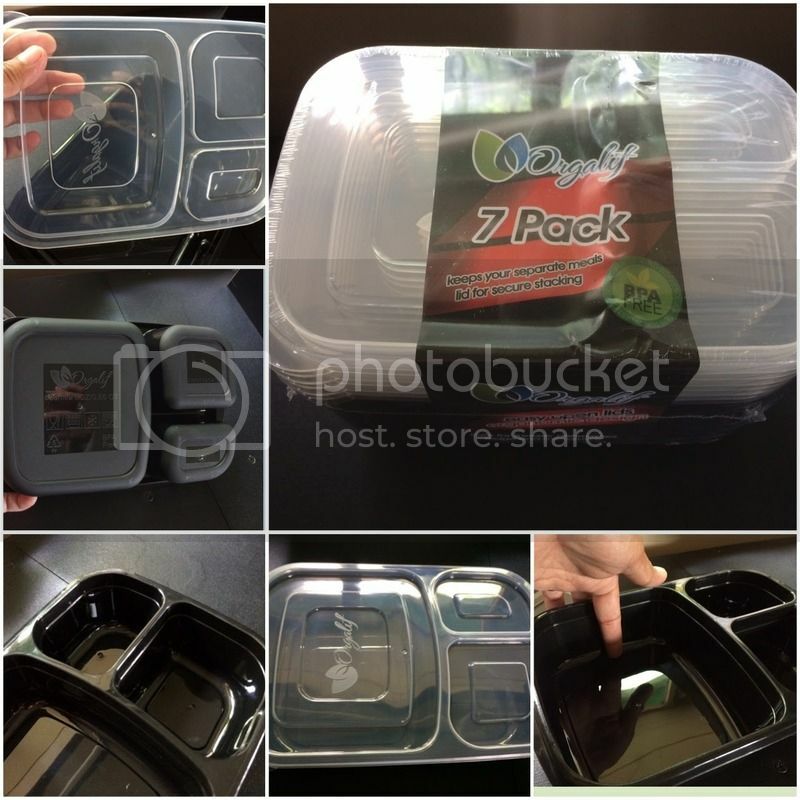 It is easy to open and even the whole item is sealed with a plastic. Pretty safe from any unfortunate happening. I ripped off the plastic seal and there I have found 7 lids and containers of the lunch boxes. Everything is in there as well, some labeling information about the product itself. I carefully checked the containers to see any signs of damage or scratch that I am not aware of, and even not too visible for my eyes. It has a clear lid and a color black container so examining each container is a much to make sure that I don’t miss out anything. I am impressed on how the appearance of this container is. I see no signs of manufacturer’s damage that I was able to use and test them right away. Hand washed the containers, they are pretty easy to wash, don’t have a dishwasher, but according to the label it is safe for dishwasher. I also heat a few homemade Mac and cheese in here and they are pretty okay. I was skeptical that it might burn, but it didn’t. I run it for at least 1 minute high. It is nice to know that it is also a BPA FREE. The meals can be separated because it is made out of it, there is one part in which a whole sandwich can be fit, and two more portions where you can put small foods in it. The good thing about this pack is that it comes with 7 pieces of them. I have enough for my schoolers and my husband to use for the whole time. I find the item sturdy, they seem to be durable too also they are hard and doesn’t easily bend even the lid. The quality is good in my observation, in which this will last for a while, as long as it will used properly. That's nice! I need a new one for my husband so I will check this out. Wow! that looks durable Mommy N. It would be perfect for me for my lunch to bring to work. I love that it has many compartments. Wow it look's good at ang daming pwedeng malagay.. I love the color. That looks like a nice lunchbox because it has dividers. It's perfect for kids who don't like their food touching.